Has long hair(female part), is a male with masculine features and in his detective Samonji shows that he has a cut on his left eye, the old man part i am not very sure. Since that's only in a detective show, Why would it have anything to do with the BO, not to mention that we need an artificial eye, not just a cut or a scar. It's weird how even though we have 4 characteristics of RUM that should be fairy obvious, we can't find him, I think it's time to check previous cases' suspects and see their personalities and background, although it would take a lot of time. 1. Heizo Hattori is Rum. 2. Kansuke is not RUM because of the reasons stated here. b. He is introduced after the Scarlet series. c. He was in comatose for 10 years. I don't think a second-in-command for BO would be someone coming from a comatose but it is feasible to have a "higher officer" coming from a comatose. 5. Unlike Kir and Boubon, he is loyal to the BO. 6. Rum might actually be Kuroda, not an officer in SP. Based on the spoilers I see for the next chapter, Ai is hiding behind Conan when Conan was approached by Kuroda - hinting that she smells the BO aura in him. Hattori Heizo would be my guess for RUM too. Most, if not all, secret organisations in history (or at least in movies lol) have high ranking members who infiltrated into the police, the Cabinet, or both. A powerful organisation wouldn't be powerful without this element - imagine the resources they could reap! And how else would they be able to be under the radar for so long? I don't see the need to *look* like all 3 of the descriptions Haibara mentioned. It could just be one person who don't even fit any of these descriptions, so that he could be "invisible" even from within the organisation. He could have a group of messengers who don't look anything like him, to confuse the parties he work with. He might be a little young to be second-in-command, but who knows? He could be related to the Boss and he's the successor. 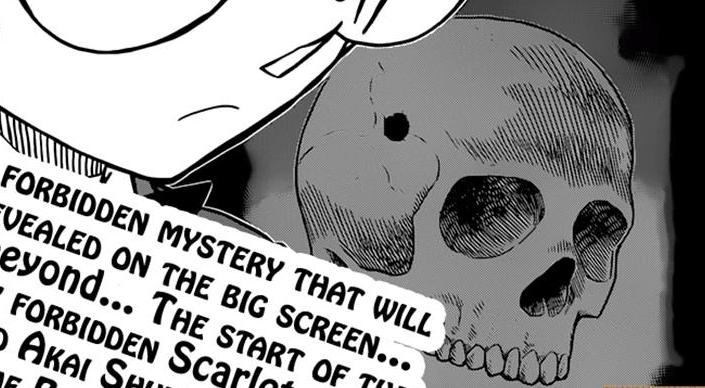 After watching episode 783 (Scarlet Epilogue), and re-reading Chapter 898, I'm interested in the seemingly innocent case in between, that is Professor Agasa and the vinegar cups. Just a quick recap for those who haven't read recently - Professor Agasa places four cups in front of him - 3 contain vinegar and one contains lemon juice. He tells the Detective Boys that they can shuffle the glasses around while he's not looking, but he can always find the glass that contains the lemon juice - and he does. Now, while this just seems to be a another case of the unreliable narrator, what if it isn't? A few posts earlier, I'd mentioned that Rum's one-eyed appearance seems to good to be true, and that it's probably false information spread by Rum himself, so that the focus of those trying to identify him are turned the wrong direction. The lemon juice-vinegar case itself, where Agasa cheated up front looks to me like foreshadowing of Rum, and that his/her identity will not be who we think it is. It looks to me like Gosho is telling the reader that sometimes it's important to resort to a bit of cheating to get a point across, which is done by making Agasa cheat (which I don't think he's done before). It's like a veiled statement that even Gosho may cheat from there on when he reveals information to us - like the case of Rum's fake eye, and that the readers shouldn't take it at face value. I'm going to be a little careful about writing down people with fake eyes as Rum, because he/she might not even have a fake eye in the end. Just what I think, though. That vinegar cups case is pretty interesting to think about as a foreshadowing case. The "fake eye is fake info" theory is a one take on the data. I actually came to sort of an opposite hypothesis. I forget where I posted this, probably the spoiler cbox, but it strikes me as particularly odd why all the Black Organization members disagree about obvious appearance facts that you would typically notice first about a person like whether Rum is feminine, manly, or old, yet all of them agree on him having a fake eye, especially when fake eyes are usually pretty subtle. One reason why everyone could be hung up on Rum's prosthetic eye is because it is so obvious and striking that everyone's attention is drawn to it to the exclusion of the rest of his features. Think about what would happen if Rum's prosthetic eye is obviously electronic and kind of creepy, while he dresses otherwise nondescriptly like in hat and bulky trenchcoat that covers him up pretty well? You would be too busy staring at his face instead of the rest of him. If asked what the rest of him looked like, you might not be able to recall clearly. A cyborg-like eye wouldn't be out of character for DC as long as there is a reason for it. We have plenty of eye related gadgets already, like Conan's glasses and Kaitou Kid's monocle. What's to say the Organization couldn't doctor up a fake eye gadget for their number two? And maybe to add the confusion he can pop it out in favor of a subtle glass eye when going out in public. That would be quite the cheat. 2-How Did Kuroda know about conan being behind sleeping kogoro? 1. No, Gosho said in a postcard, that Date is not Scotch. 2. From his subordinates in Nagano, maybe even from Kansuke directly. Kansuke and Yui both more or less directly say in the Red Wall Case, that they think that Conan is the brain behind Sleeping Kogoro. 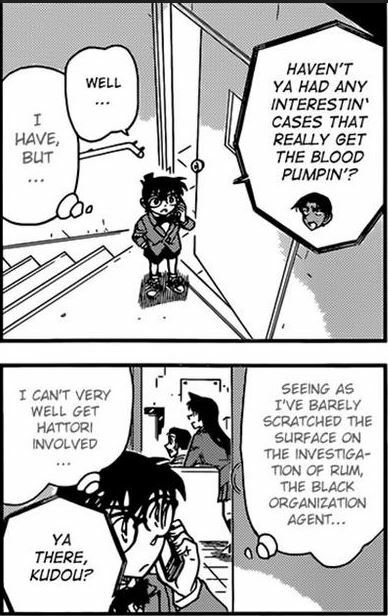 Note, that this doesn't mean that they know about the method Conan uses to make the Sleeping Kogoro happen nor do they know or think about Conan being Shinichi. 3- Is the "Bourbon was helping Sherry in episode 704" Theory True? 4-Has Rum got a real fake eye, or that was kind of manipulation? 2. We don't know too much about Kuroda, so I don't think anyone knows exactly how he knows. Maybe it's a rumor going around in the Nagano prefecture, seeing as how Morofushi, Kansuke, and Yui all have noticed Conan's intelligence, with Kansuke even making a remark about how he thinks Conan is the one behind Sleeping Kogoro. Kuroda was the managing officer of the Nagano prefecture, and he is now the Superintendent of the MPD 1st Division. I'd say he has some access to information in the least. Maybe he conducted his own investigation? Why is really beyond me, seeing as he (supposedly) recently came out of a coma. 3. That's why it is a theory. I'd say it's a possibility, for sure, seeing as he didn't really have any intention to kill her, and he knew her mother as a child. Hacking Kogoro's computer and turning over the information to the organization feels quite risky, but it might be a necessity to really make the organization think she is dead. 4. We don't really know. I'd say it's likely seeing as how the one thing that always added up in Rum's description was that he had a prosthetic eye. But, if the members actually saw RUM, they would still be able to know from his figure whether he is a big strong guy, an old man, or a feminine man, and even if he wears a bulky trench-coat, the difference between a strong guy(like Matsumoto and Kuroda) and a feminine man or an old man is bigger than to be hidden by just that, right? And I don't think it's really easy to disguise as an old man or a feminine man if he was a big strong guy, but if he was one of the other two, then it might be easier, anyway, so that again brings the question of why they aren't sure about RUM's characteristics but are sure about his artificial eye? I mean, sure, if he has a really weird and obvious artificial eye then they would have their attention focused only on it, but even then you can still tell a big strong guy from an old man or a feminine man right? And what if RUM doesn't even appear in front of the members? How did they even know about his artificial eye? Maybe he/she uses body doubles, and all of them have that artificial-looking eye. Funny how I actually thought about that the other day, it can easily explain everything, but there is really no proof right now. Yep—quite frankly, speculation is all we have until more Files are released. I guess it's nice that we know now for certain that Ai didn't sense the BO aura from Kuroda as well. He starts by knowing a lot of dangerous stuff about Conan which he should move on, yet hasn't. Gosho said Rum appeared before Kuroda did. 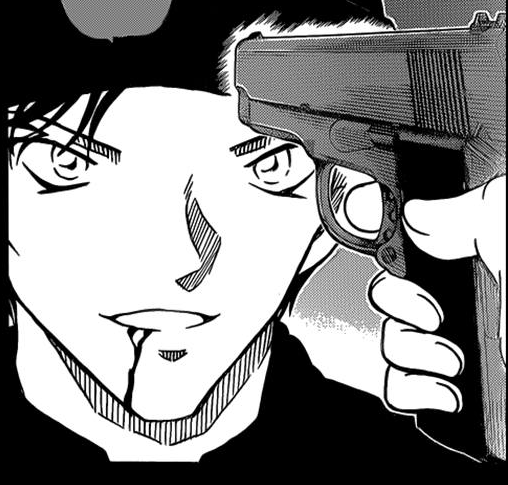 That would make sense, but I hope RUM also has another mission that is more important, because unless Akai's mother is extremely important and dangerous to the BO, it should be a mission for a normal agent, I also hope we'll get something on the drug and program development now that the 2 developing them are not in the BO. 1)First possiblity:"cheating" which means he will be cheating about the description of RUM.As someone mentioned before,the fact that he has a fake eye was just a lie spread by RUM to mislead the detectives.But this doesn't mean the other 3 descriptions (Old,strongly built,feminine) man don't apply. And according to this wikia "Kuroda's first appearance was in file 913" and Gosho mentioned that he already appeared in 2014 so RUM should have appeared "At or before File 906"
Would you call Komei "strongly built"? I thought he was rather slender, especially compared to Yamato. Also, Komei wasn't standing besides Kuroda when Haibara met Kuroda. If Haibara said she didn't feel the BO aura, then she didn't. If she "might still have felt a BO aura in the space" she would've said that she felt BO presence, because we've been shown before, that Haibara can feel the BO, regardless of their position from her, as long as they are close; she even felt Bourbon driving in a car behind her. Haibara can distinct between normal fear and BO fear, so if she said, she didn't feel any BO presence when she met Kuroda, then she says the truth. I agree with the "sense" thing, but keep in mind that "strong" doesn't have to mean "strongly built and muscular". For the strongly built thing, i just mentioned the description,but didn't say he was strongly built,actually his body height and size is normal like Yamato but we don't know how strong he might be. 1) Gosho said Kaito Kid won't be involved with the BO. 2) Conan said he won't involve Heji with the whole RUM thing. Conan said he won't involve Heji with the whole RUM thing. Conan just said that he doesn't have enough leads to get Heiji involved, not that he won't involve him at all. Correct, but I just wanted to mention that Conan said that. that's why RUM went to the morgue to make sure of Akai's corpse himself. Another Thing to prove that RUM's mission is related to Akai is that Kir sent that message to one person (subaru/Akai) Jodie and Camel didn't know of it,also James Black didn't receive it otherwise he would be the one to tell Jodie and Camel about RUM not Akai. Why would Vermouth report the info and Bourbon's theory to Rum? As soon as she realizes that Bourbon is right, she tries to argue against it and get him away from his theory, because she wants to protect Conan, Akai and Kir. Thus, she has no reason to report it to Rum. Neither does Bourbon, since he was planning to capture Akai for the Secret Police and not for the BO, so reporting his theory before he has a hold of him, makes no sense either.